Posted March 31, 2016 by David Somerset & filed under Gift guides. Though legend has it J. K. Rowling penned her world-famous and series while sitting in an Edinburgh café, the majority of the action is set in and around London. As such, the UK capital provides an excellent opportunity for fans of the Harry Potter franchise to explore the places which inspired the books and films in greater detail. Lose yourself in the folklore and wonder of the Potter universe, simply by wandering around the streets of London. Below are a handful of Harry Potter highlights you can expect to see in the bustling metropolis… but we bet you won’t feel like you’re in Muggle England anymore! 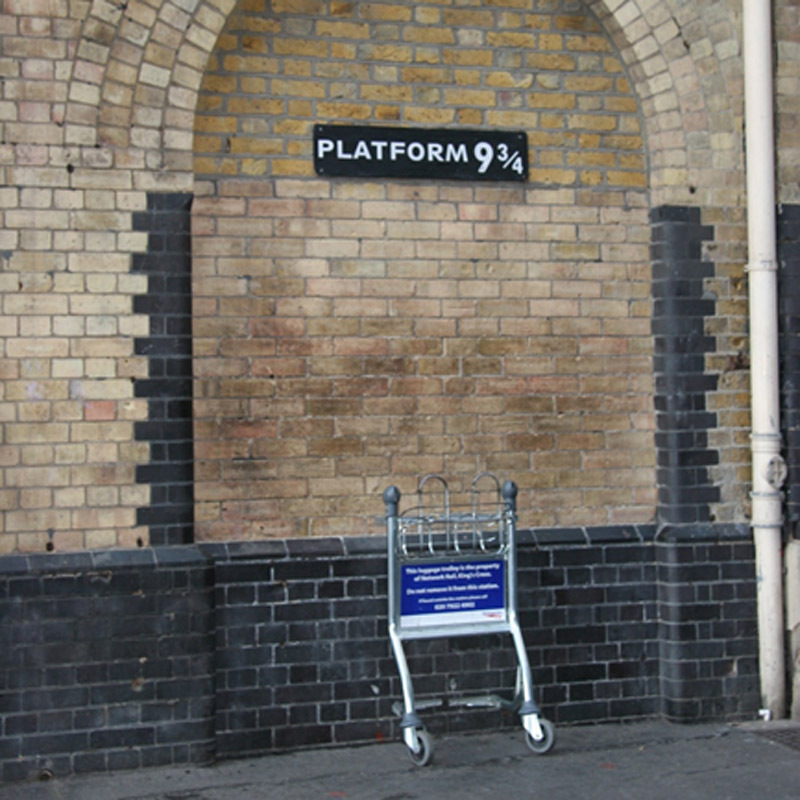 Located inside King’s Cross Station, this is not between platforms nine and ten – and nor is it actually where the footage for the movie was filmed. However, it is an excellent, free photo opportunity where helpful staff will kit you out with wand and scarf and take as many photos as you like! Being such a popular attraction, you should expect a long queue and a lengthy wait… but it’ll be well worth it for the resulting photos. The adjacent Harry Potter store is also jam-packed with souvenirs and Potter paraphernalia. Warner Bros Studios have come up with the ingenious idea of making Diagon Alley one of the very first film sets available on Google Maps! That means you can explore all the nooks and crannies of the famous streets from the comfort of your own home… but of course, there’s no substitute for visiting the location in person. If you do, you’ll be able enter Olivander’s Wand Shop and Eeylops Owl Emporium and see their wares up close and personal. You can even sample some delicious Butterbeer ice cream! The secret headquarters where the Order of the Phoenix hold their meetings is invisible to mere Muggles… so you should feel privileged that you’re able to visit it! The location is Claremont Square in real life, which used to house a water reservoir that was later emptied and replanted with a grassy plaza. Though you can’t enter into the building (there is still top-secret lawyer wizardry business afoot), the square in front is very atmospheric and immediately evokes images of the film. The labyrinthine vaults of Gringott’s bank are the impenetrable fortress guarding all of the gold in the wizarding world. 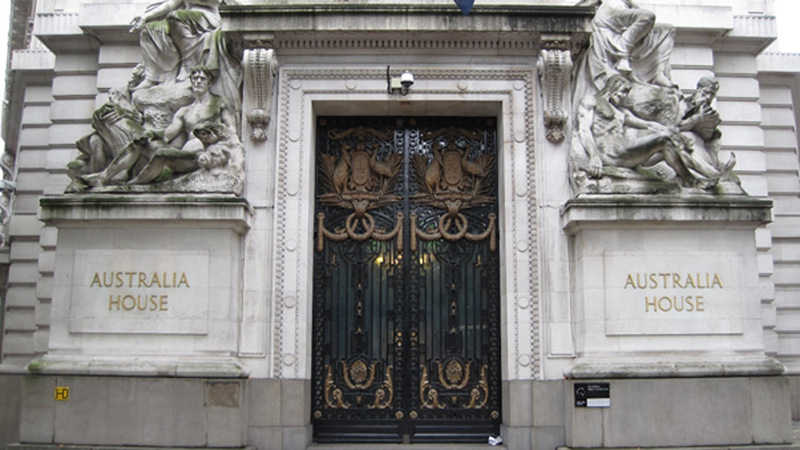 In real life, the building was inspired by Australia House, the antipodean foreign embassy, and it also served as the backdrop for the scenes filmed in Gringotts. Today, it’s difficult to gain access unless you’re after an Aussie visa… though there are rumours that the building is constructed directly above a 900-year-old holy well! Water shortage, Boris? Check Gringotts. 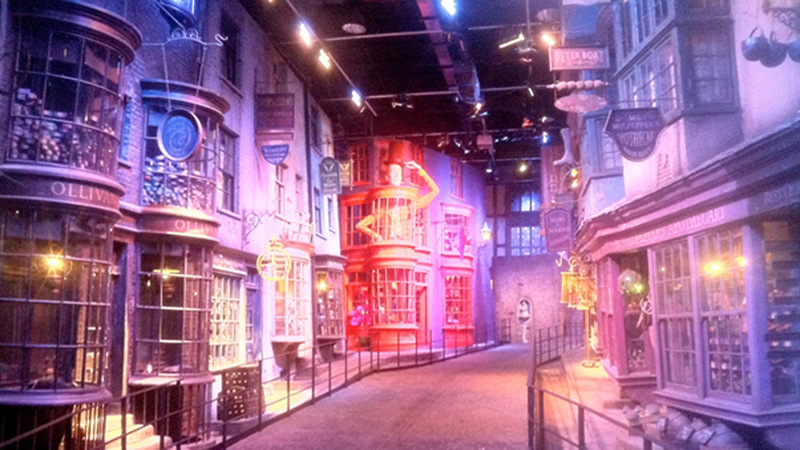 There were two different locations used in the Potter films for the Leaky Cauldron. The first is found at 42 Bull’s Head Passage, which is an underground walkway connecting two shiny Lloyd’s bank buildings on opposite sides of the street. Here you can see the original entrance to the Cauldron and get your souvenir photo in front of it. The second, used in later films, was located in Borough Market, along with the wizarding bookstore where Harry and his classmates bought their textbooks for the coming school year. Though both have since been disbanded and replaced with a rather fetching flower store, you can still visit the site where filming took place. As seen on screen: What happens if your property becomes a TV or film star?